Let’s take Nutrition instantly, for sports, working, studying! 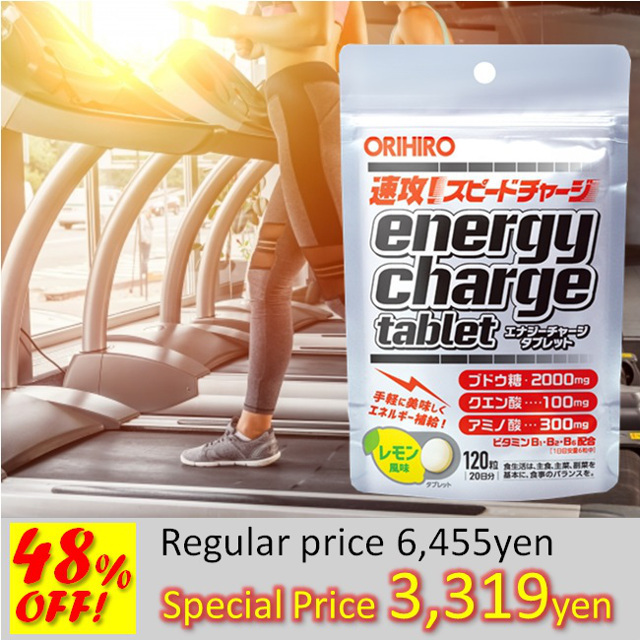 ●Easily taken tab, delicious Lemon flavor. Lemon taste tablet can be taken without water. Easy even during sports! Main nutrition is Glucose, plus Citric acid and group of Vitamin B. Get energy efficiently! Leucine, Isoleucine, Valine, Glutamine, Arginine, Alanine etc. are formulated. 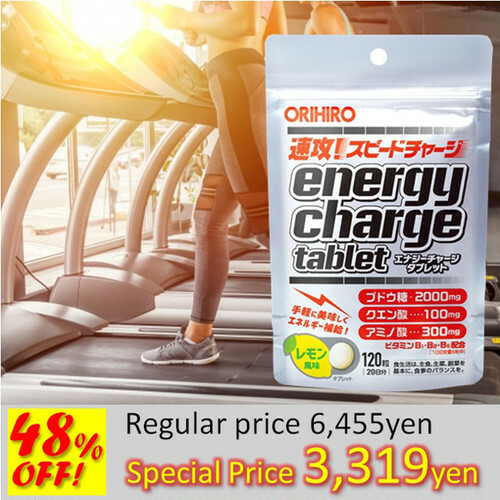 ●Fast energy charge, good for a hard work/concentration. Supplement contains Glucose, Citric acid, Amino acid etc., effective when you need endurance/concentration. ※Selling Agency; Orihiro Co., Ltd.